Amatrol creates innovative, interactive learning solutions for industry and education to equip people with the skills to master technical systems, solve problems and adapt to a rapidly-changing workplace. 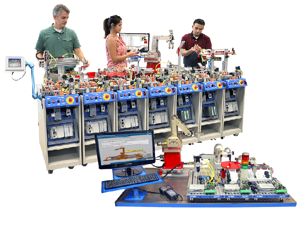 We partner with our clients to provide an unmatched learning experience. . Their interactivity, both in equipment and computer-based learning solutions, integrated with strong alignment to industry needs is what makes Amatrol the industry's leading technical education provider. Amatrol's learning solutions include interactive multimedia as well as print-based student learning materials, virtual trainers, teacher's guides, industrial quality hands-on training equipment, and instructor training.